This 50 foot RCA audio and video cable features stereo audio and composite video. 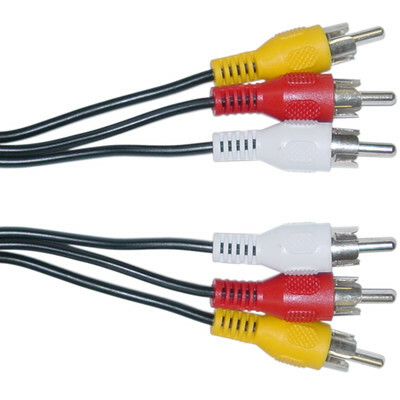 The connectors consist of three nickle male RCA plugs on each end of the cable and the wiring is composed of copper for reduced resistance. 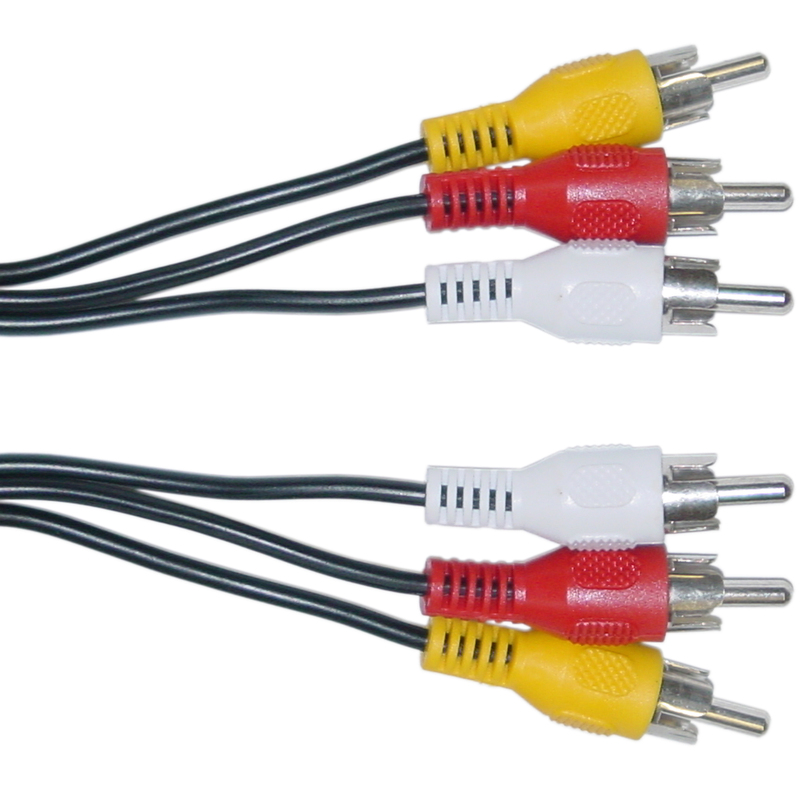 These solidly constructed cables are an economical solution for hooking up VCRs, DVD players and other older home theater electronics that make use of RCA jacks for stereo audio and composite video to TVs. Excellent quality, good price and they work great.